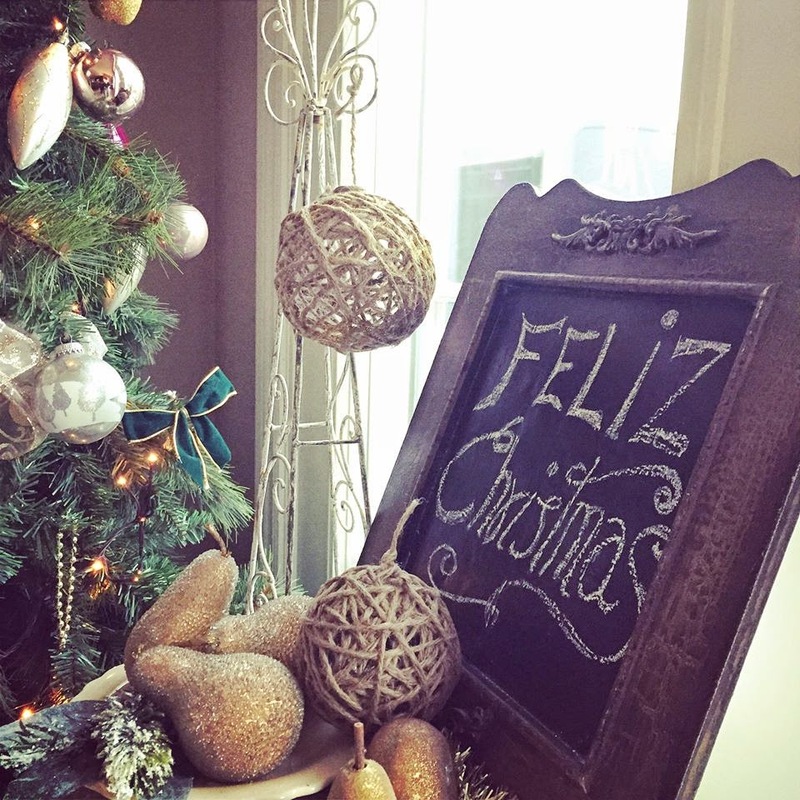 that will add light and warmth to any room, on the floor or on the table....also, perfect under the tree!! This week I'm going to show you how to make these gorgeous props. I hope you enjoy the process as much as I did and when you master it, pass your knowledge along to other crafty people... they'll love you for it, trust me! 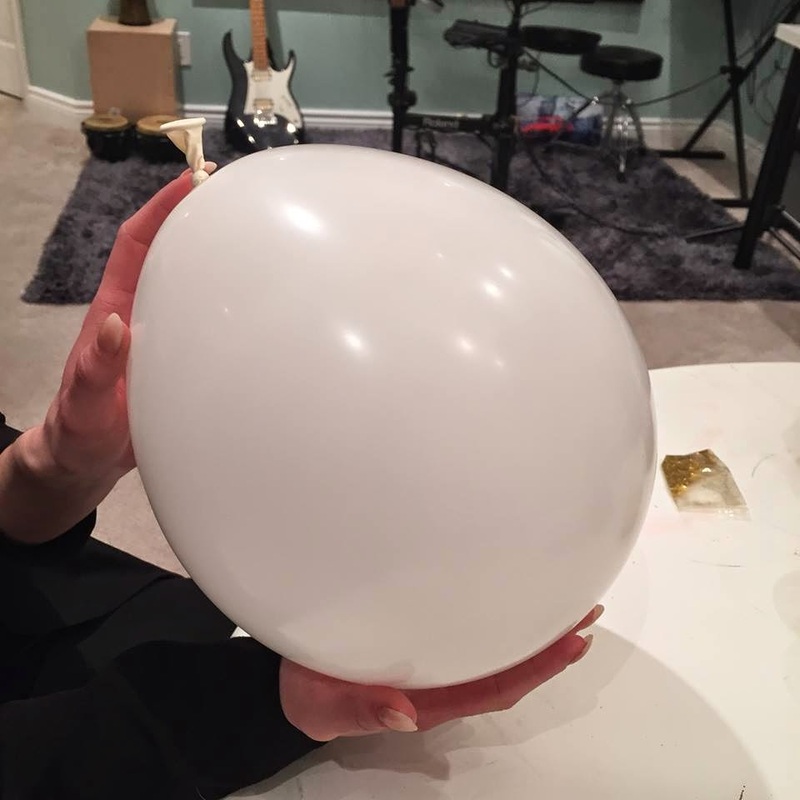 Simply blow up the balloon to the desired size but not to its max capacity or it will shape like a pear rather than a sphere. Stretching the balloon before you start blowing it may help you get a more rounder shape but it depends on the quality of the balloon. 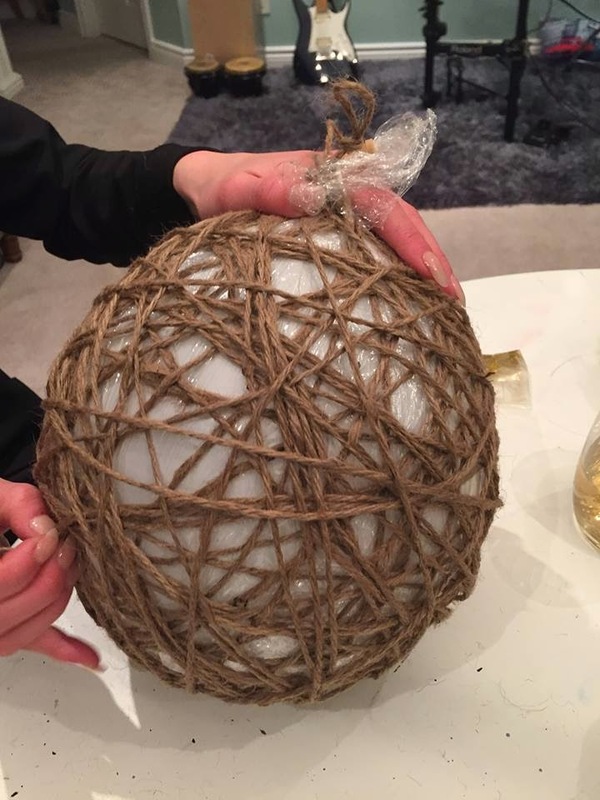 Cover the entire balloon with plastic wrap, this helps to retrieve the balloon once deflated and it prevents the hardening mixture from sticking to the twine. 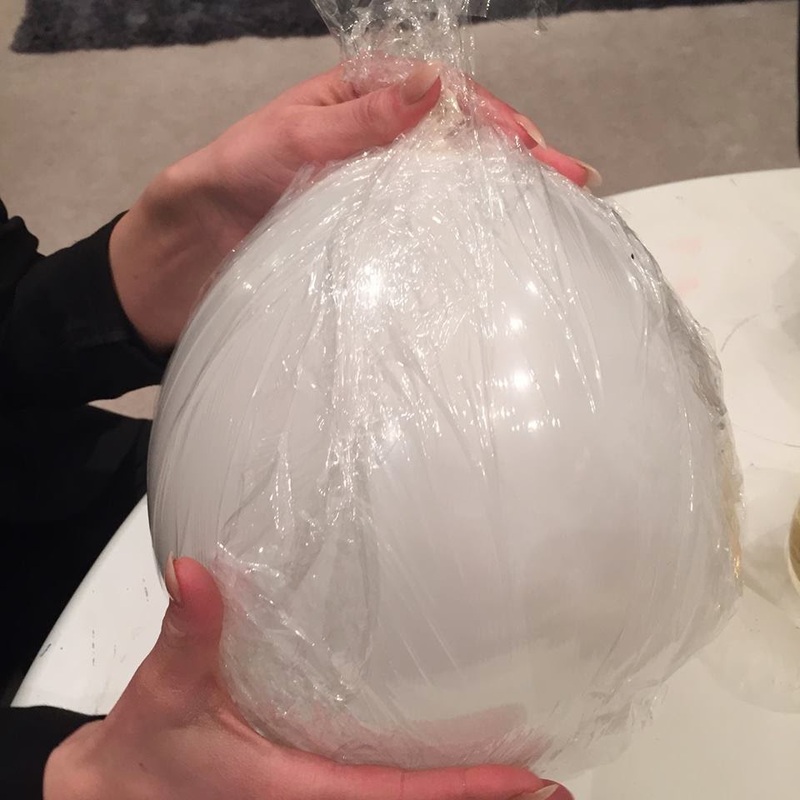 Secure the plastic wrapping onto the neck of the balloon with an elastic band but do this loosely so its easy to remove when dry. Once the elastic band is on, tie a loop knot also to the neck of the balloon and start wrapping it with the twine moving in all directions and making sure there are no large gaps left anywhere. Next, find a bucket large enough to submerge your balloon in. 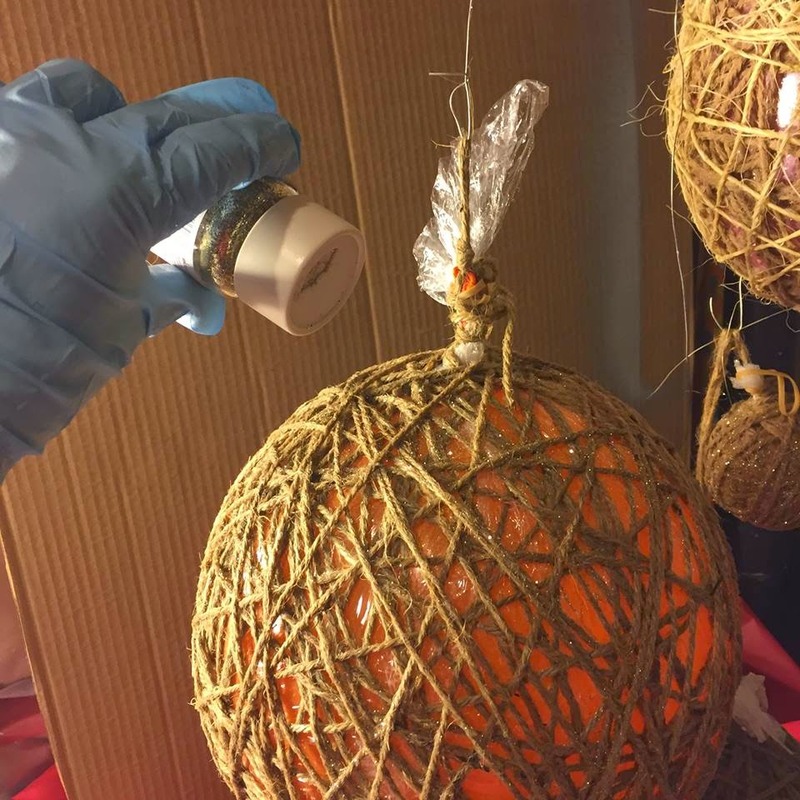 Start pouring the fabric stiffing liquid (or mod podge)all over the sphere making sure it saturates absolutely every part of the balloon. I suggest you rotate the sphere as you pour the fluid to cover evenly. 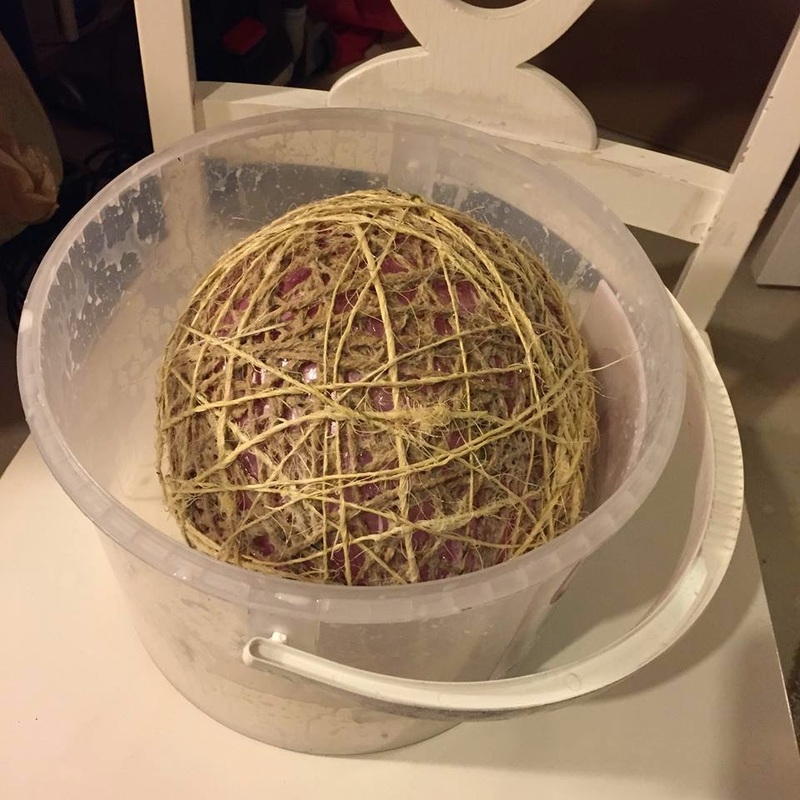 Find a place to hang your sphere and place the same bucket you used to dip it in or something else as it will leak a lot as it dries. 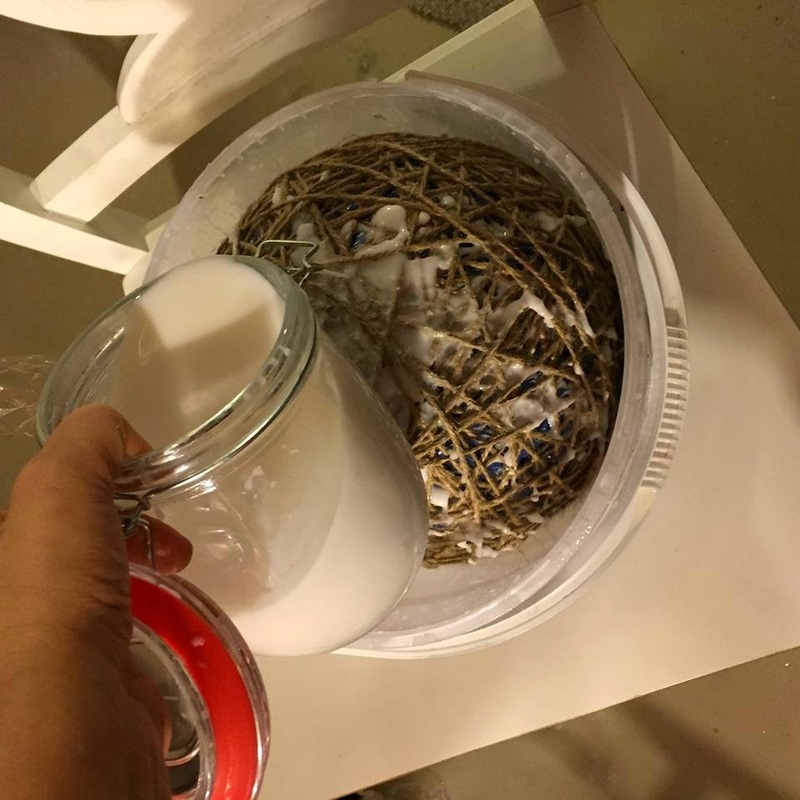 This is where I recycle all the leftover hardening fluid and keep it in a closed container until my next sphere project... :0)If you want ( this step is optional) you can sprinkle some sparkle powder now. Next is to wait for the sphere to dry. For these size spheres i recommend at least 24 hrs but it depends on the humidity in your house, of course. Ok, now that it is completely dry its time to poke your balloon. 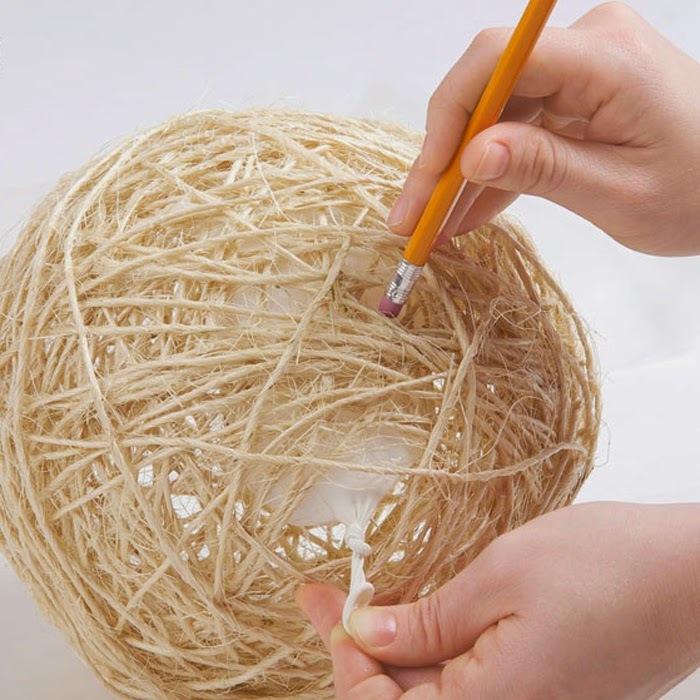 Use a needle to allow the air to come out slowly and use a= the eraser side of a pencil to help the wrapping un-stick from the twine if it happens. Remove the wrapping, balloon and anything else that may or may not have got trapped inside the balloon. 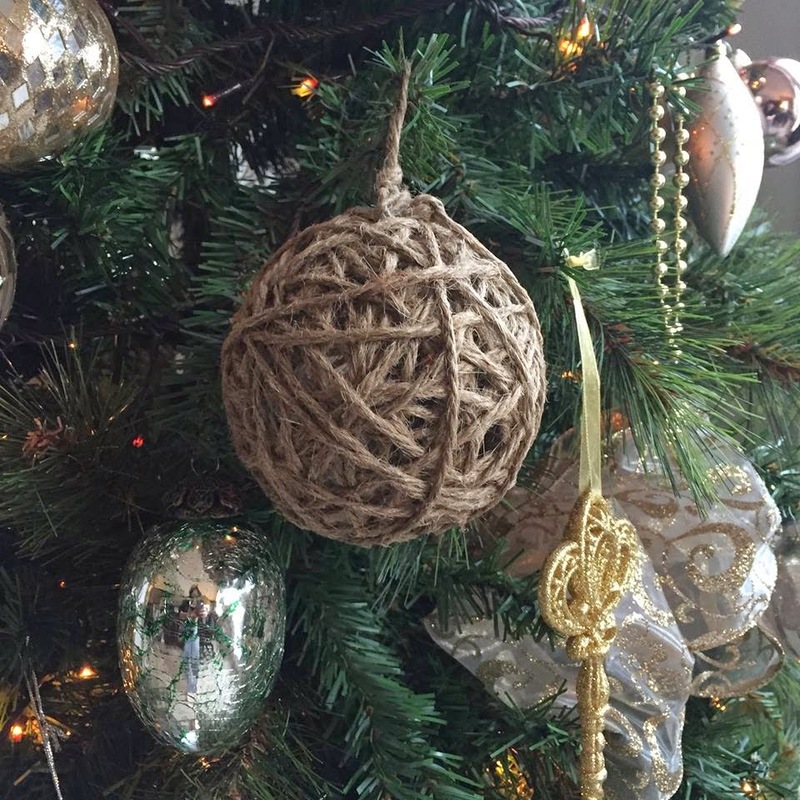 To make Twine Ornaments instead of spheres, simply follow the same tutorial steps 1-9 but skip the last step, that's all. Here are some pictures of my ornaments. This post went viral overnight and its now got almost 1/4 million views, isn't that something?!! Awesome thanks for sharing. I will do this with my children this weekend. Cheers Lynda from New Zealand. Just beautiful finished product. Thank you. I love them. 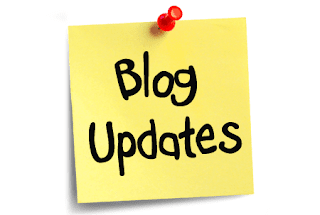 Thanks for sharing, and to me it is a new project I have never seen. Don't know where I have been in the last 40 years. lol Can't wait to try them. 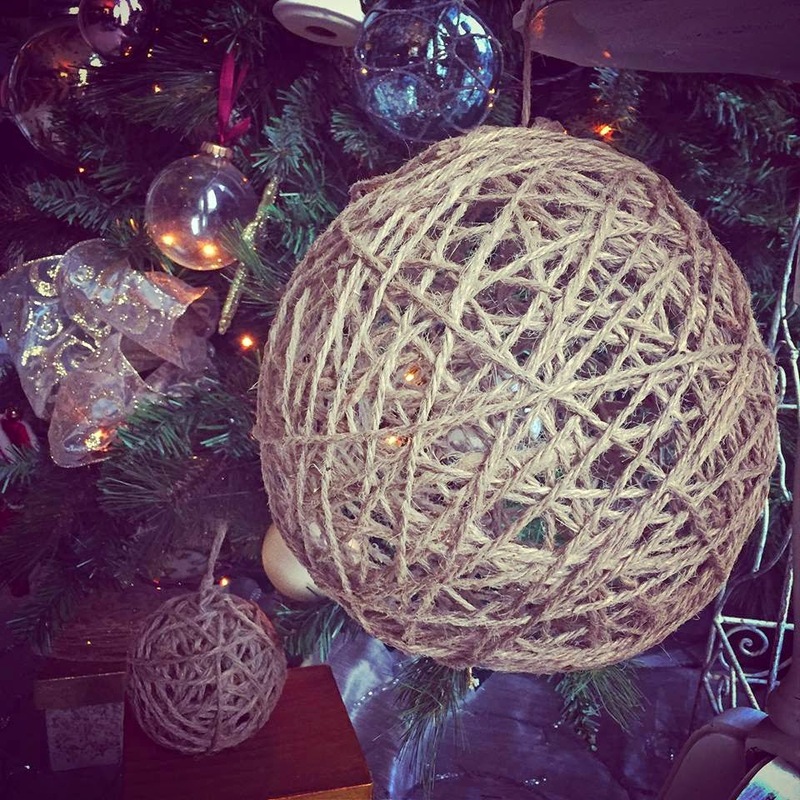 Can you spray paint the twine once you've finished and it's dry? 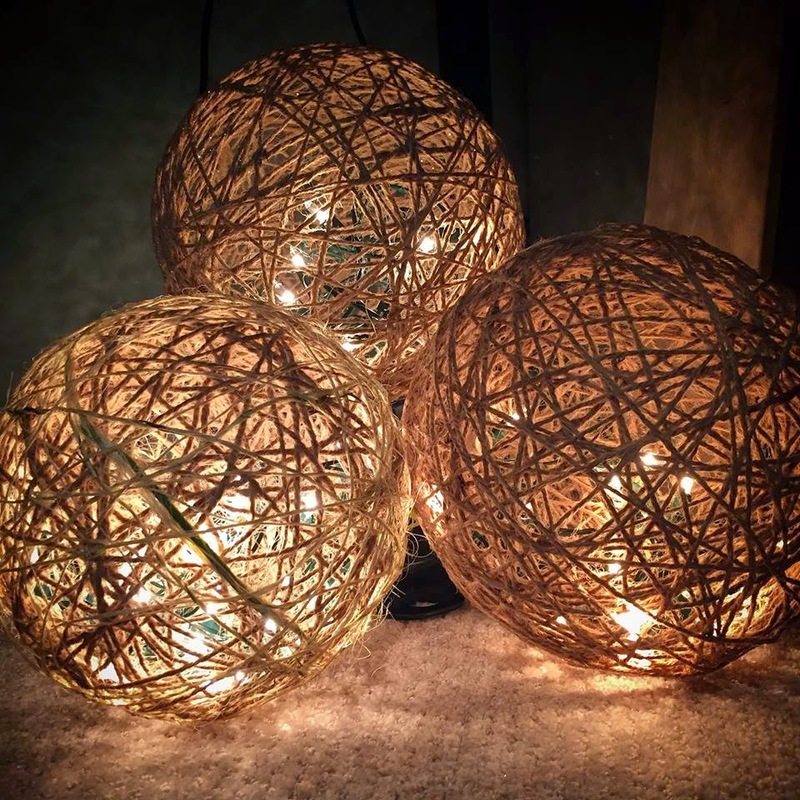 ok, I did some research and found out that there is already colored Twine or jute string but if you wish to paint it as difficult as it may be, you could too... the only concern would be the hot lights and the paint being a dangerous combination... I'm not sure, sorry. Using the newer LED Christmas lights would insure there is no heat issue. So probably safe to use! 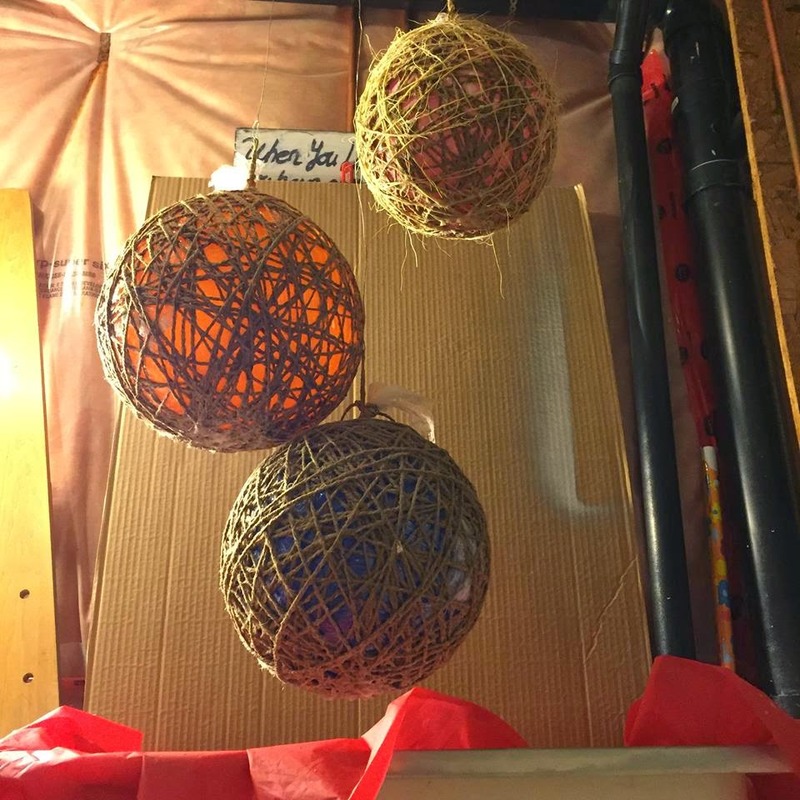 It's an extra step, but you could try dyeing the twine first. 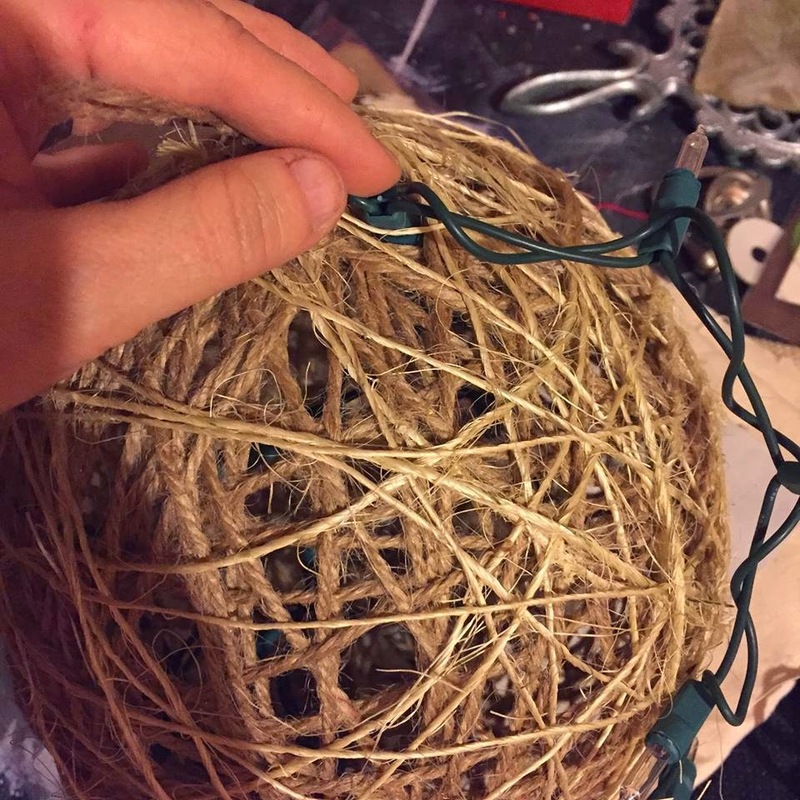 Depending on what color the twine is and what color you're trying to achieve. Awesome job..perfect for summer parties as well..beautiful! It's going to look great, you'll see!! 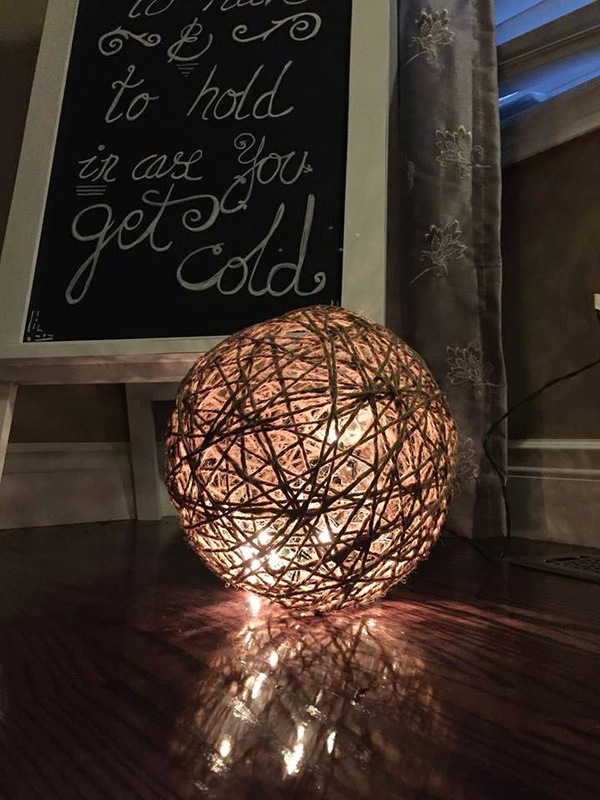 Nothing like lighting to add warmth into any space. Send us pics! Love the lighted spheres!! Just a note to the lady who wanted to Paint them," the newer LED lights would be what you would want to use as they don't put our much heat at all, and would be completely safe with paint! I love this idea; great tutorial. You could probably use yarn to get the color of your choice also. Thanks for sharing. Very nice.. I am definitely gonna try it.. thanks for sharing. Spray with scotch guard to help water proof them. Before I make these....What is the difference between liquid starch and Modge Podge in this project? Does the Modge Podge leave a film in the gaps? Also, what if I wrap around the balloon without using saran wrap? I look forward to making this!!!! You might try water based polyurethane. You can get it in a spray can. Before inserting lights apply several thin coats waiting for it to dry between coats. This should allow you to get some on the inside as well. Once it has completely dried you can Insert lights and voila. Hope this helps. So?.. did it work for you?!! Hello! I want to try to make these. I have never purchased Modge Podge or stiffener before. I was going to order the materials off Amazon to save myself a trip to the store, but I thought I would ask how many ounces or gallons you think is necessary to make the 3 spheres, like the ones you have pictured? Thanks in advance! Is it possible to weatherproof them to hang outside in case of rain? Hi, I do t know a way to do that with a modoodge mixture but maybe some kind of sealer spray would do??.. not sure at all sorry and thank you for the comment! Love this idea. I tried it using mod podge with string. It wasn't stiff enough and it started to collapse when I tried to remove seran wrap. Will try again using fabric stiffiner. I just finished making these and they came out great. I used tacky glue mixed with water. 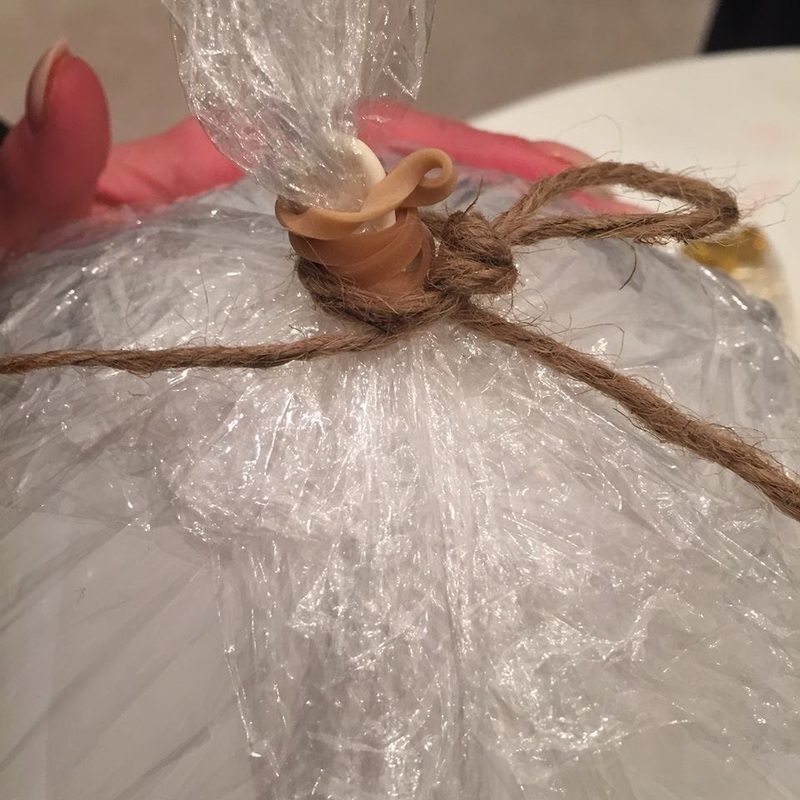 After putting the jute in the glue/water I wrapped it around the balloon. I let dry for a couple of days. Came out great! 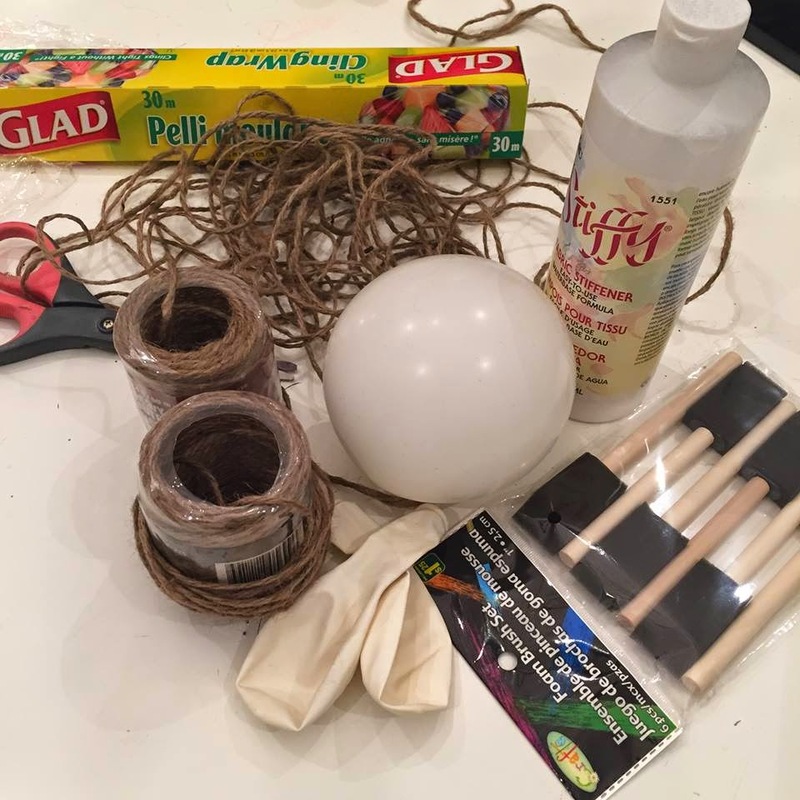 I love this project!was wondering how much water to add to the glue, If any? To make a jar of fake / homemade Mod Podge you need 1 cup of glue and 1/3 cup of water. These proportions are perfect – don't mess with them. Good luck!! Mod Podge makes a fabric version that is permanent and washable. Hi!! Yes they do have it already mixt I used it all in one project though... 😂 if you’re making lots of these it’s better to just make your own because it is made the same way kinda. Thank for your comment and happy crafting!! Can you use a beach ball? Please find your answer by another creative gal below, thanks!!! Hi, yes..I found some beach balls last fall at a dollar store for fifty cents each. They turned out great! Just remember to leave a gap large enough to get the ball out once the mod podge dries..actually I used scissors to cut the beach ball into pieces. I have been using Elmer's School Glue and mixing some corn starch and warm water as my adhesive...an idea I found online. Just another option. So many projects that can be done with this concept...I have about ten different projects started lol, now if I can just focus on one until complete. I've also had several people wanting to purchase these from me! The sky is the limit with ideas..good luck and thank you to the author for sharing! Hey thanks for the info and happy crafting!! !